Quo's adorable Back to School Limited Edition Collection launches August 2016. It will be available at Shopper's Drug Mart. The bright coral-pink packaging will be hard to miss, I love it! The Quo Daily Beauty Palette has 28 eyeshadows, 7 eyeliners and 3 blush shades. A new look for every day of the week! I love the super slim packaging, great for storage. 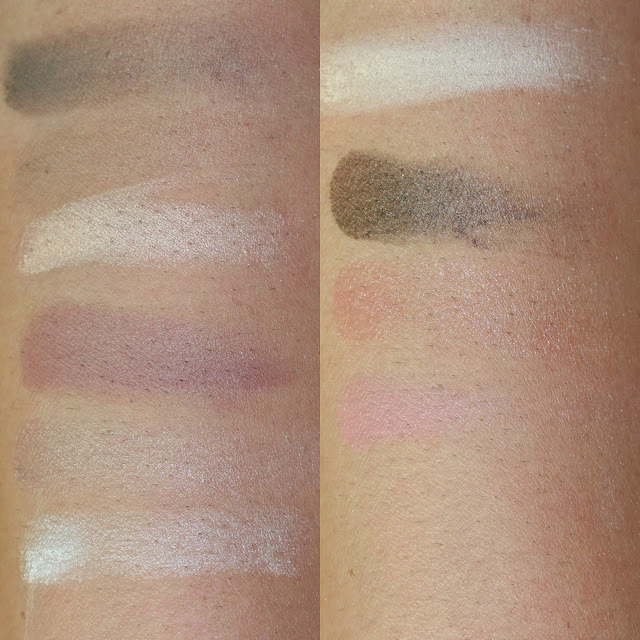 As you can see in the swatches above there is a huge array of shadows. Overall, decent pigmentation, smooth formula and not patchy. The palette however is missing some mid-tone matte browns for crease and transition and they are quite powdery. When worn with a primer they last all day on my oily eyelids. The eyeliners are swatched along the bottom, they have more of a gel texture than a traditional gel liner. They lack a little pigmentation because of the texture, however this makes them a good candidate for a shadow base! I paired the eyeliner with my regular primer and it really helped the shadows pop. The middle blush totally surprised me, it has great pigmentation, gives a rosey flush and lasted all day on my skin! The texture was smooth and not patchy. 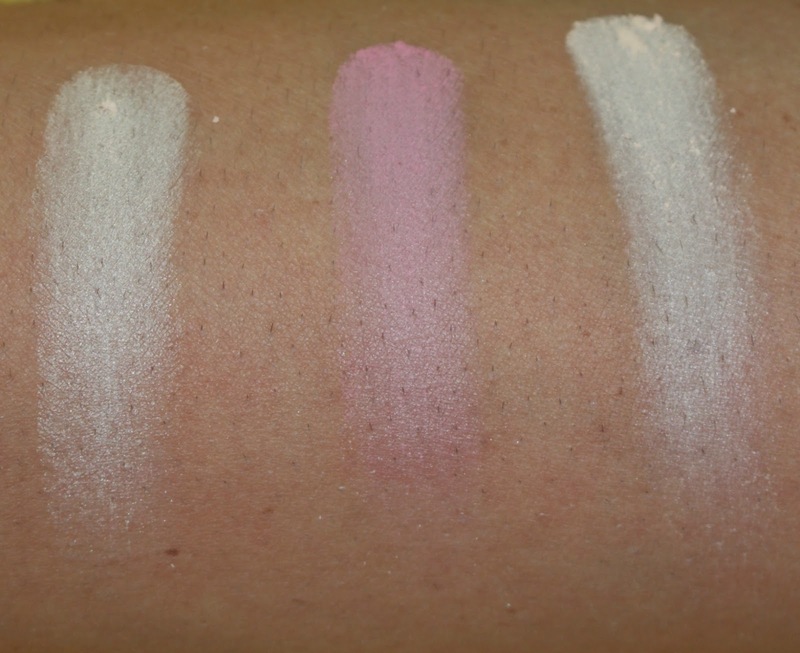 The other two blushes definitely seem more like a highlights but on my skin they didn't do a lot. 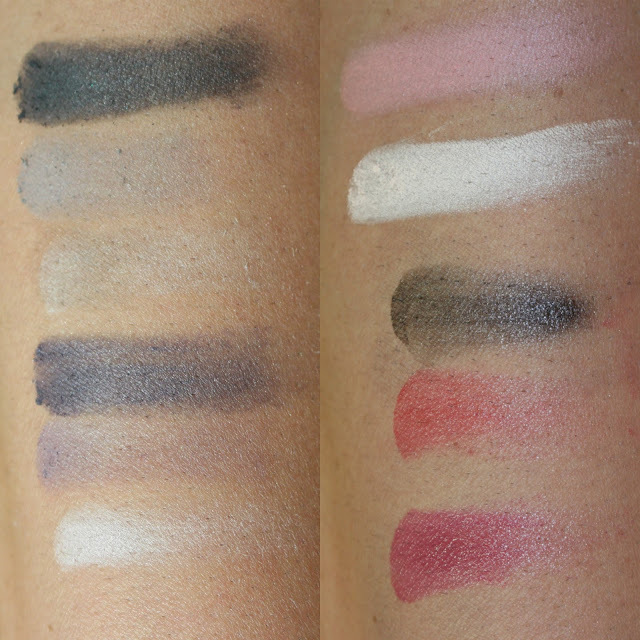 Perhaps they are better suited for a lighter skintone but it was a missed opportunity to include another toned blush. This comes in a black zip case, you could totally sneak this into class and disguise it as a notebook! It contains 12 eyeshadows, 2 eyeliners, 4 blush/bronzers and 4 lip colors. It also has room for any cards and your cell phone! I love the range of shades in the first page of the Taking Notes Palette, great mid tone shades for adding definition and depth. That being said the pigmentation is lacking, they definitely act better with a primer. The blushes are better quality for sure, similar to the Daily Palette. Eyeliners again act better as bases. I find the highlights to be more of a brow bone or inner corner highlight for the eyes as opposed to something I'd put on my cheeks. As for the lippies in this palette they are moisturizing and add a sheer wash of color! The collection also includes the Quo Hall Monitor Clutch (pictured at the top), this has card slots, a coin purse and a place for a phone for $22.00 all wrapped in the gorgeous coral pink packaging. Not pictured is the Quo Get a Grip Magnetic Brush Set, $38.00. It has 5 brushes that all have a magnetic tip that make it easy to store upside down and it makes a great option post washing your brushes to dry them hanging! *These products were sent to me for my consideration.